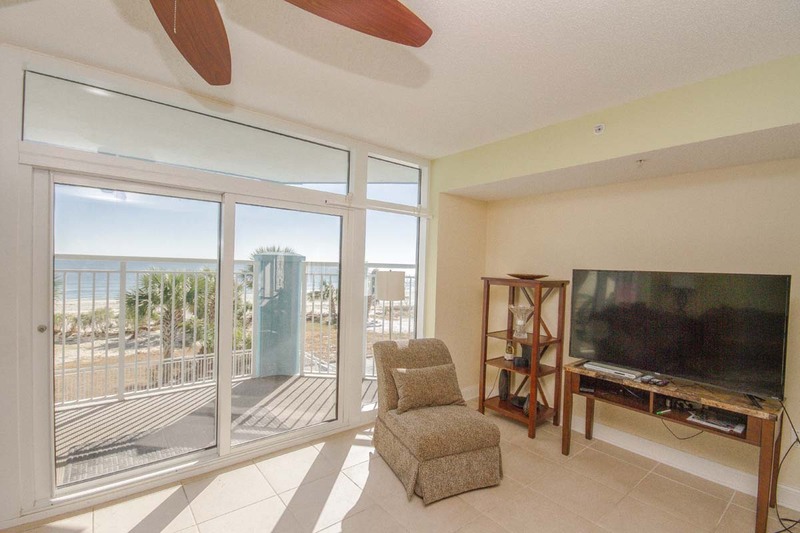 Discover a luxurious and modern beach vacation whenever you reserve a stay in Ocean Blue 203. 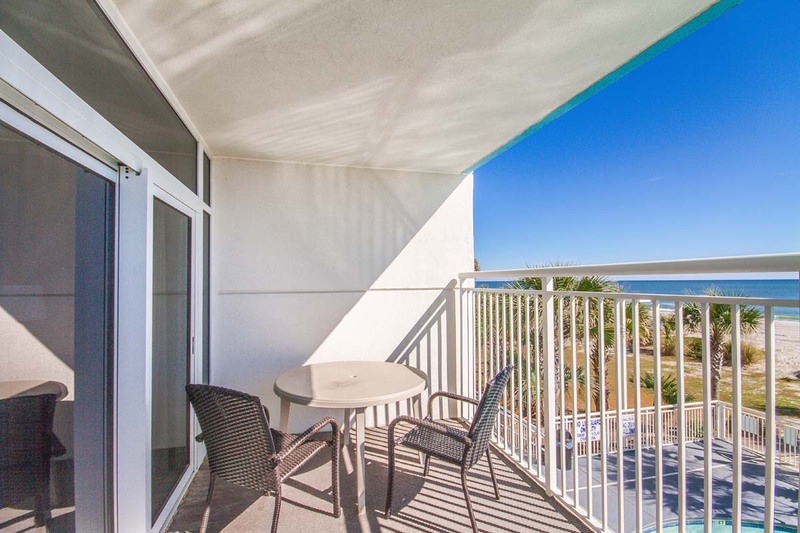 This 5-bedroom, 4-bathroom oceanfront condo is nestled along the tranquil south end of Myrtle Beach, putting guests in the perfect location to enjoy both the immediate tranquility of the less-crowded beach areas, while also vacationing within close proximity to the area's most popular attractions and destinations. 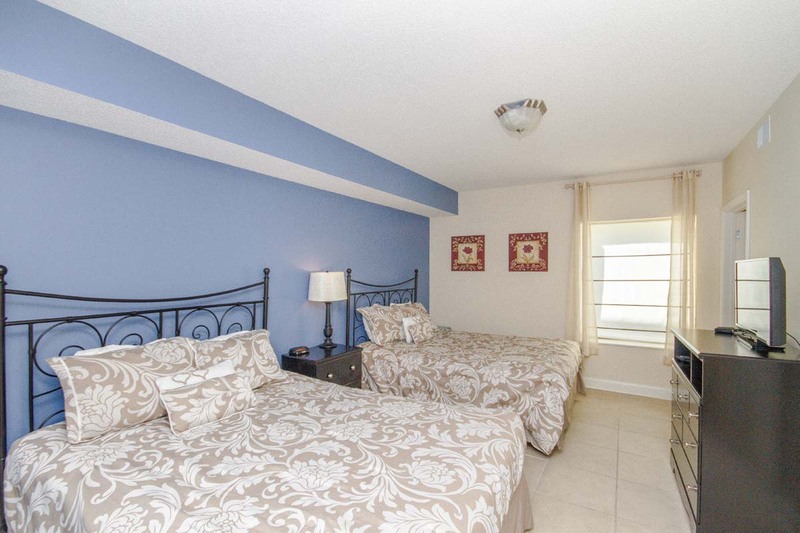 With 5 spacious bedrooms, Ocean Blue 203 can comfortably accommodate up to 12 guests, making it perfect for a variety of travel experiences, including family reunions, holiday gatherings, and more. 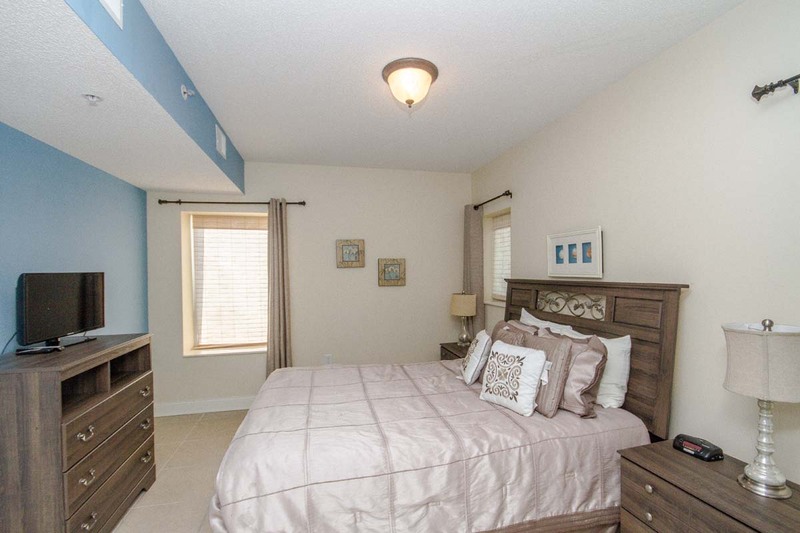 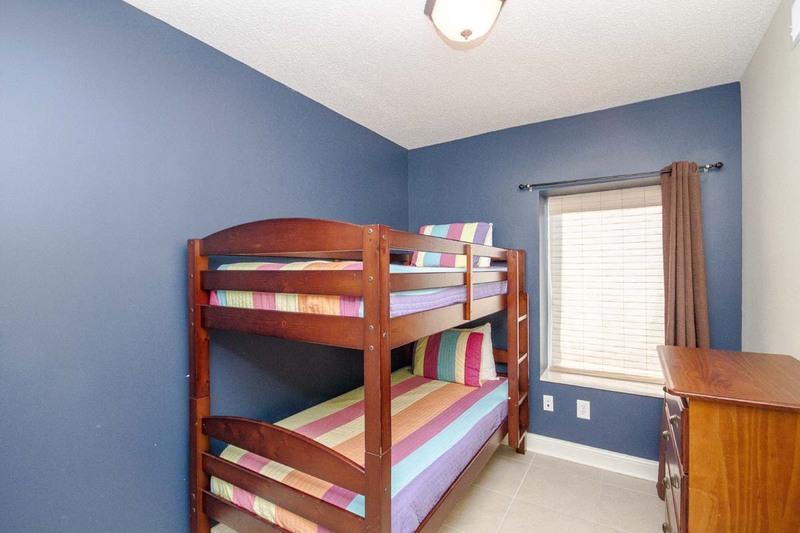 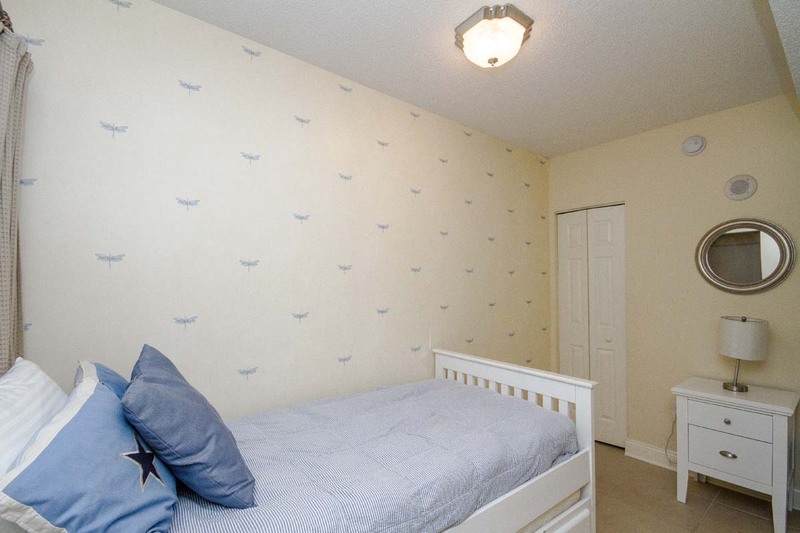 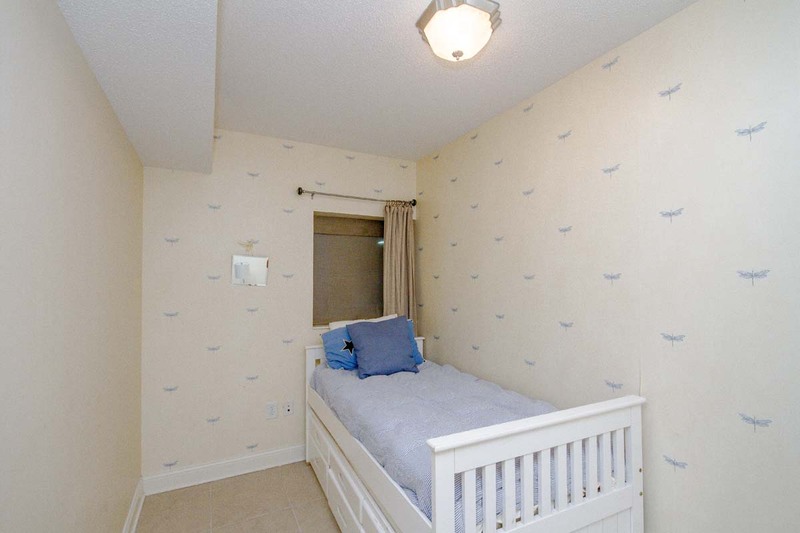 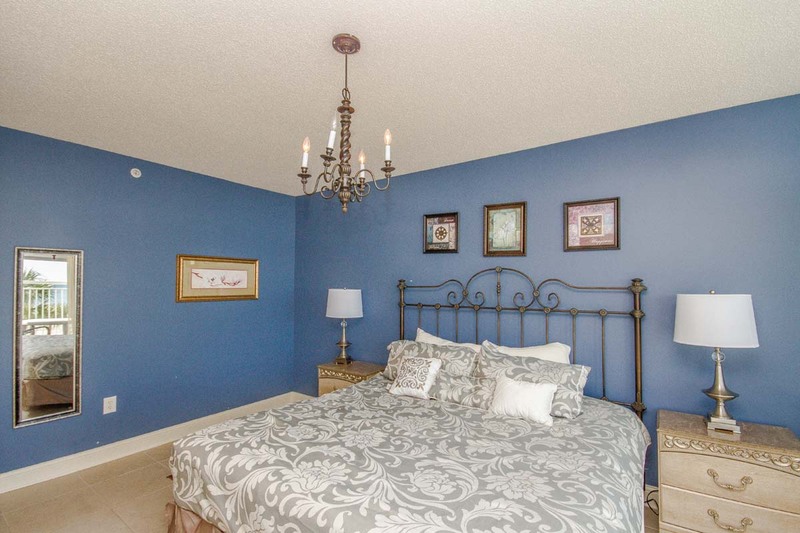 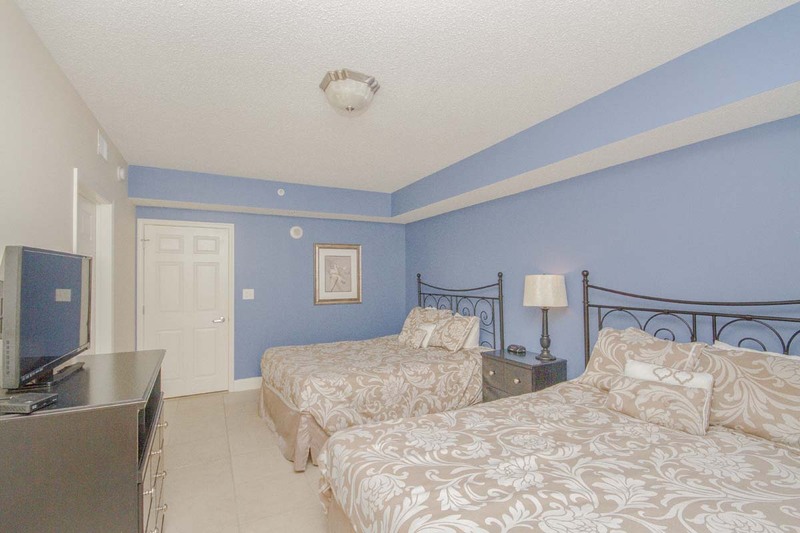 Bedding includes one King bed in the master bedroom, two Queens in the second bedroom, one Queen in the third room, twin bunk beds in the fourth room, and a twin bed with attached twin trundle in the fifth bedroom. 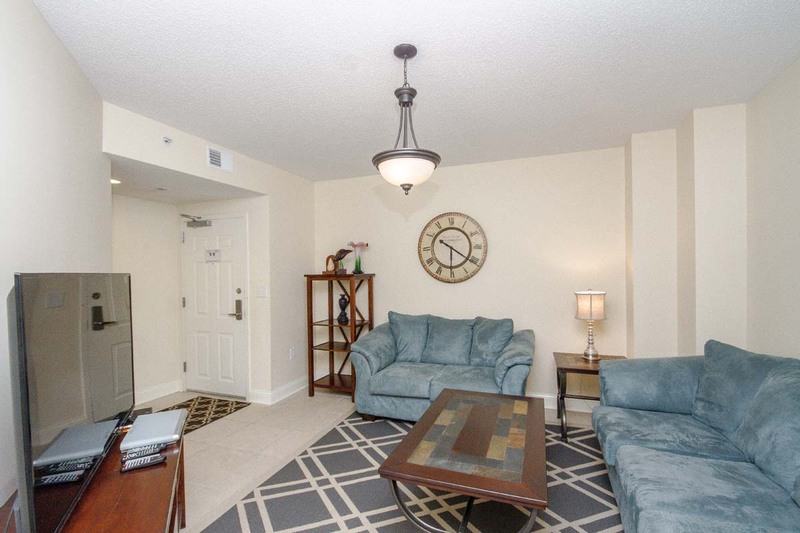 The open floor plan provides guests with plenty of living and dining space, and you will love the convenience of having your own fully-equipped kitchen throughout your stay. 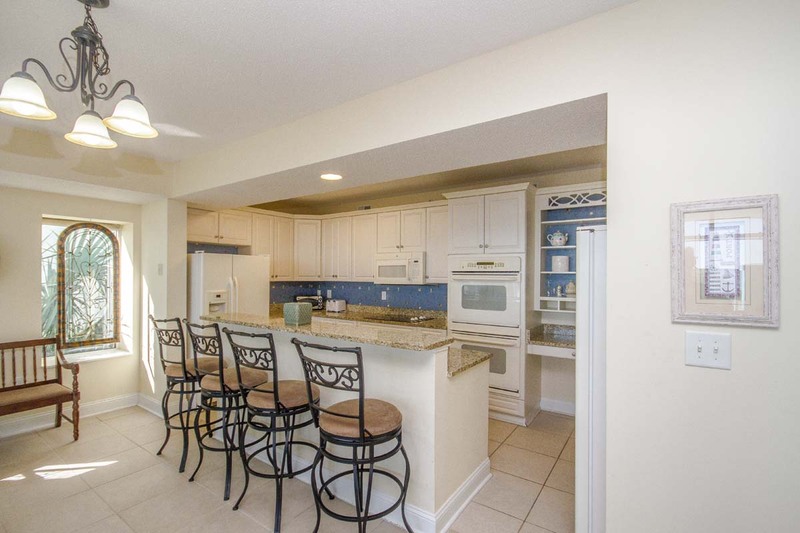 With two full refrigerators, other major appliances, and cooking essentials like pots and utensils, whipping up your favorite home-cooked meals will be a breeze. 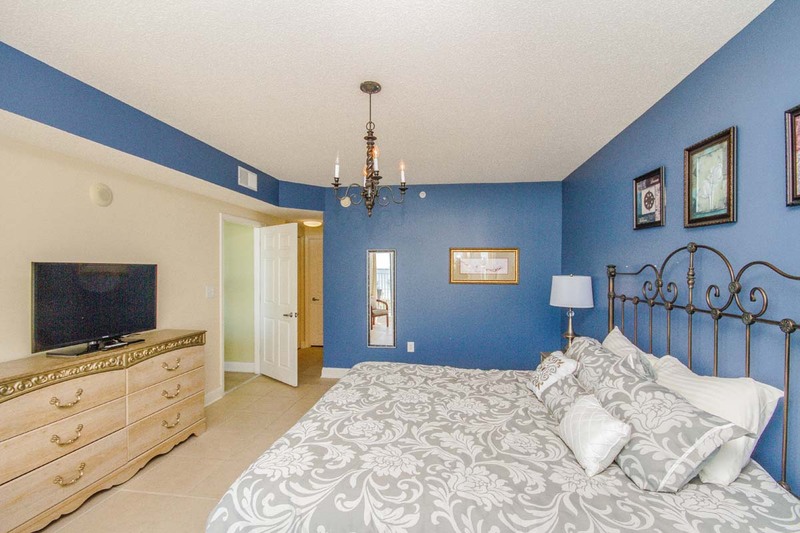 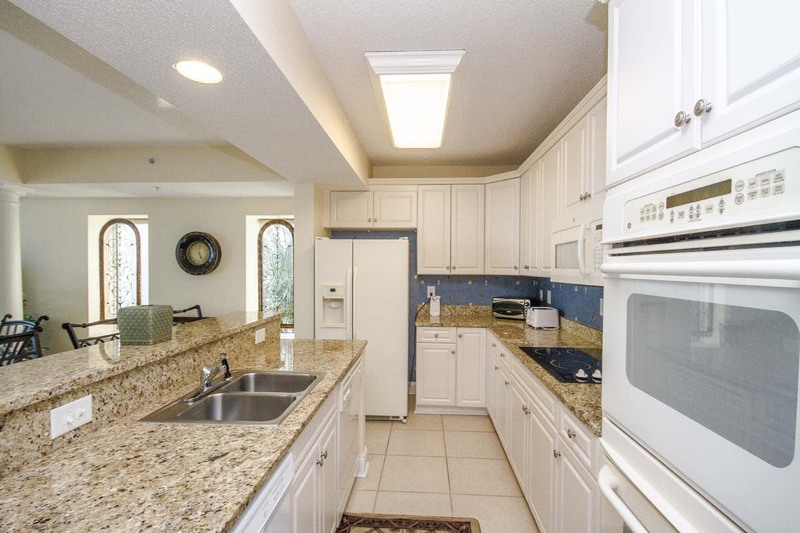 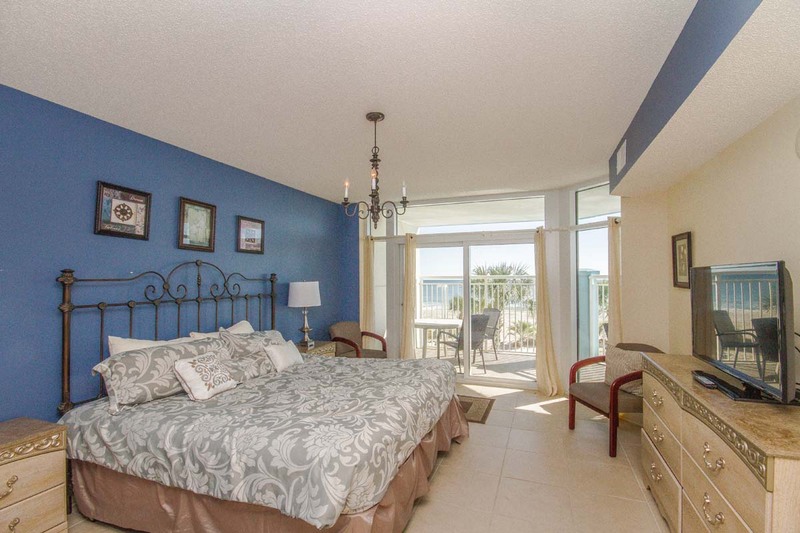 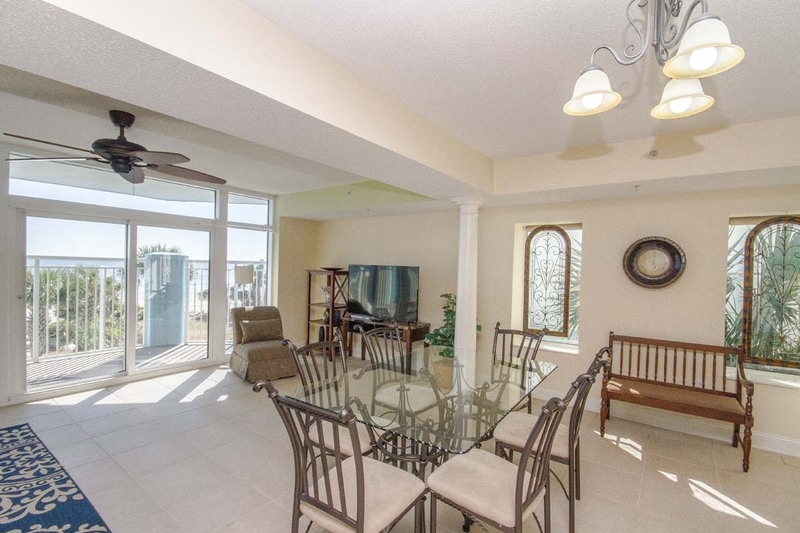 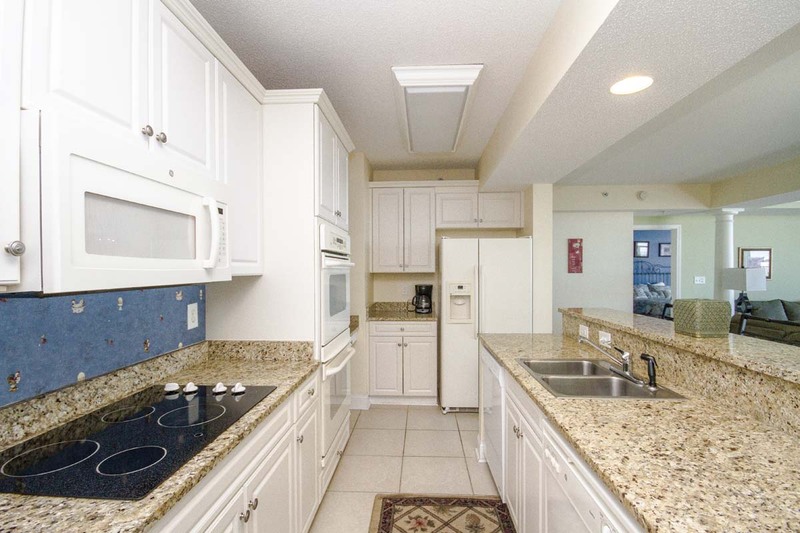 Granite counters further add a touch of elegance to this beautiful oceanfront condo. 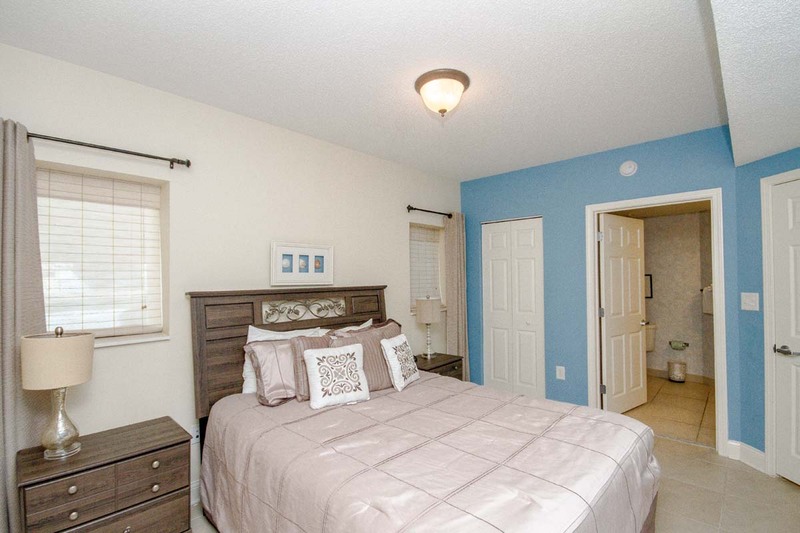 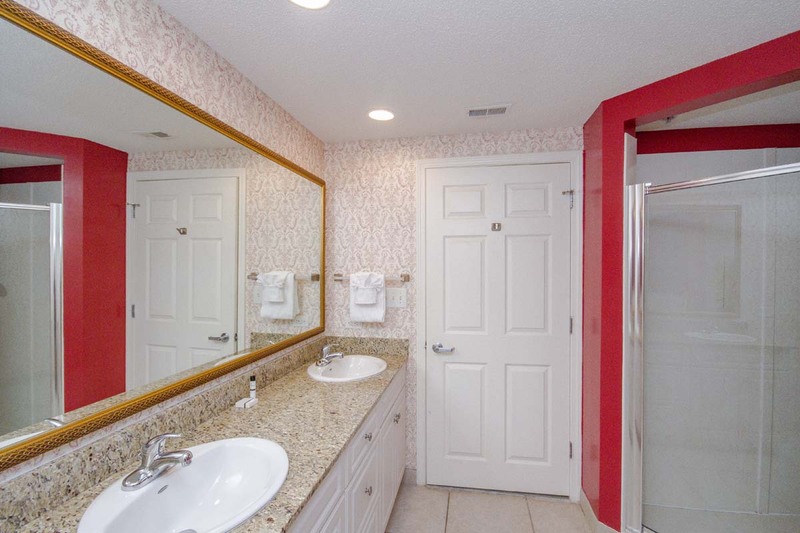 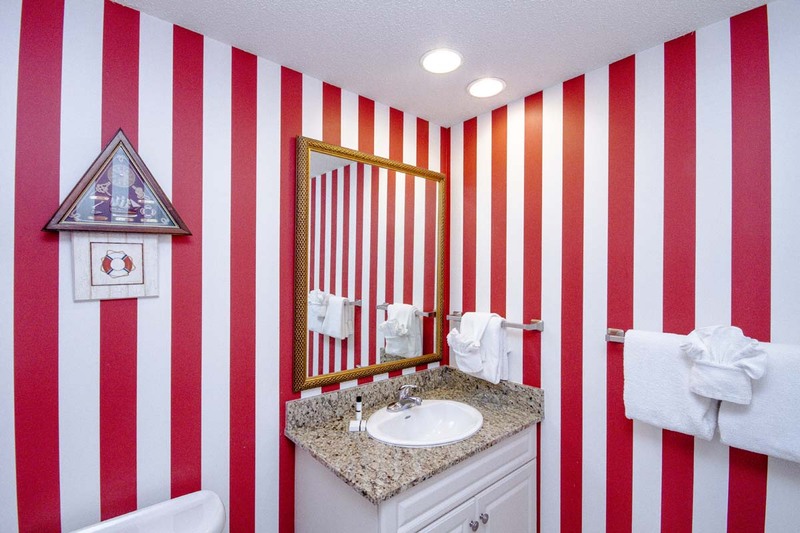 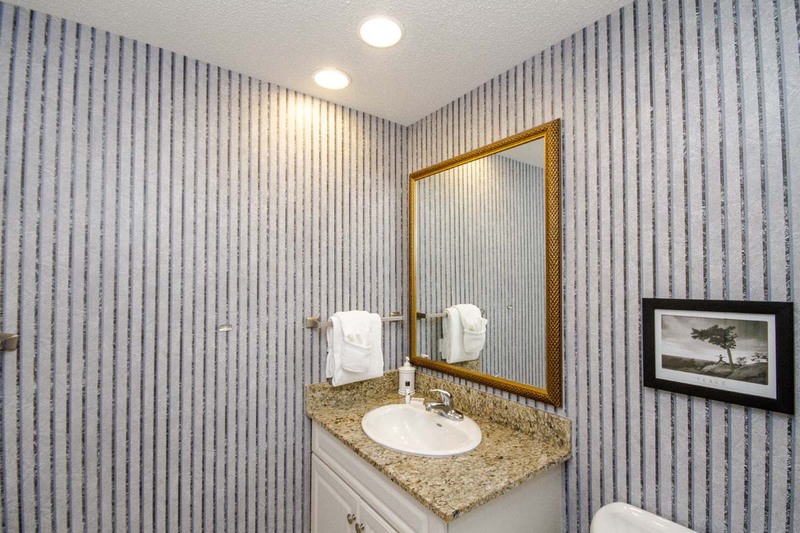 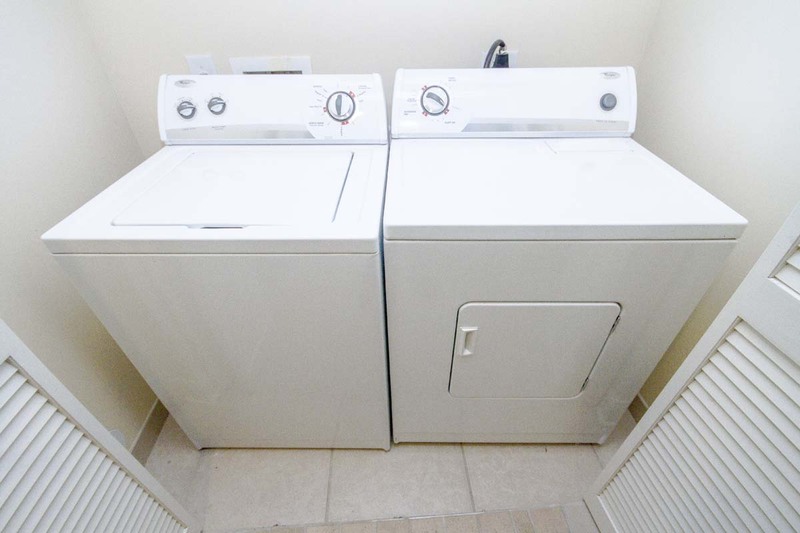 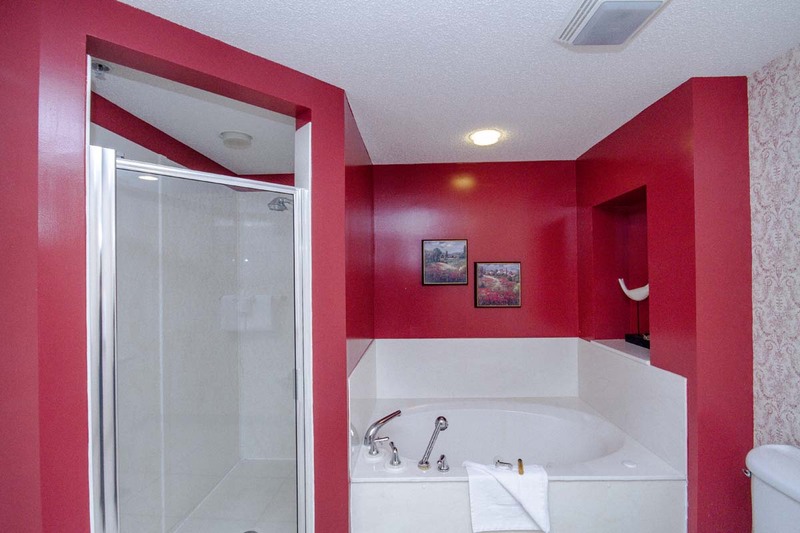 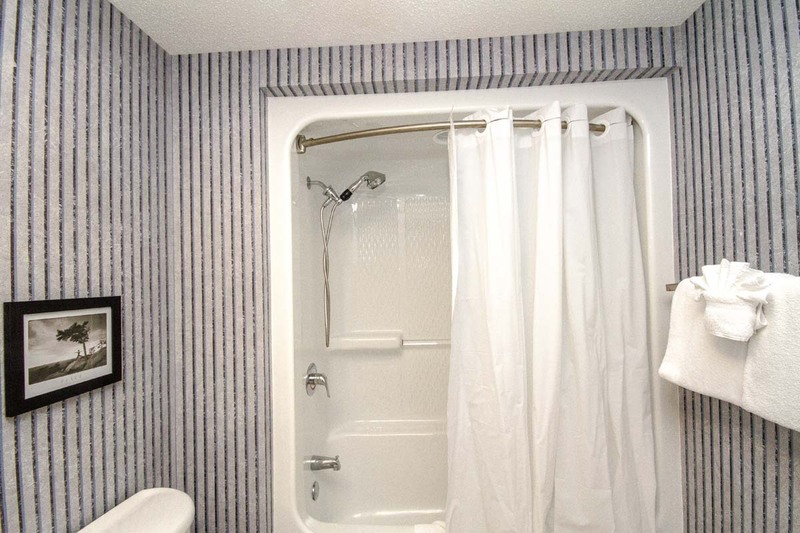 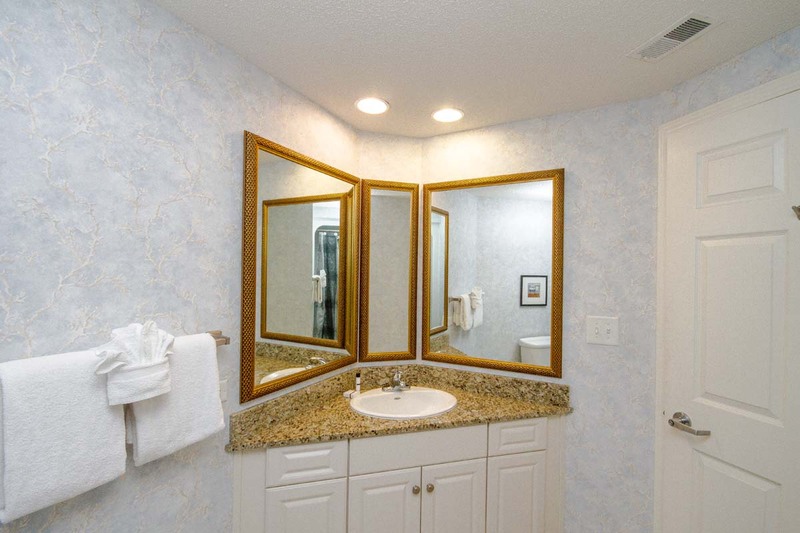 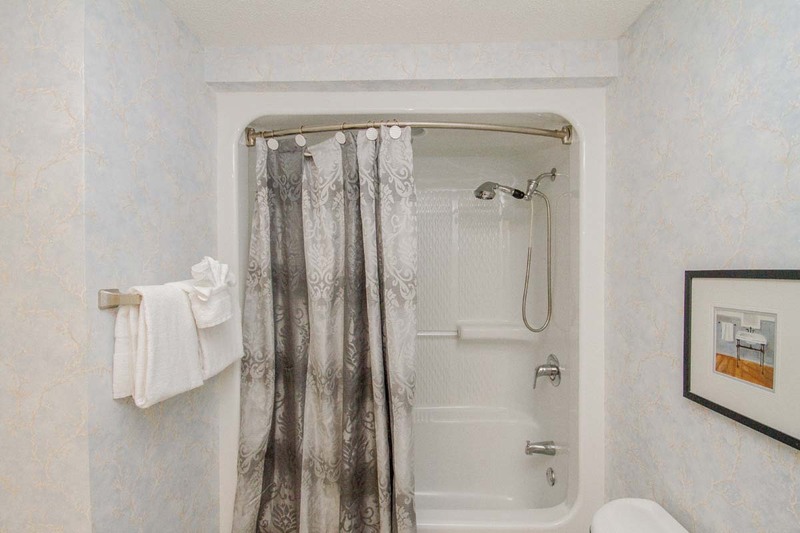 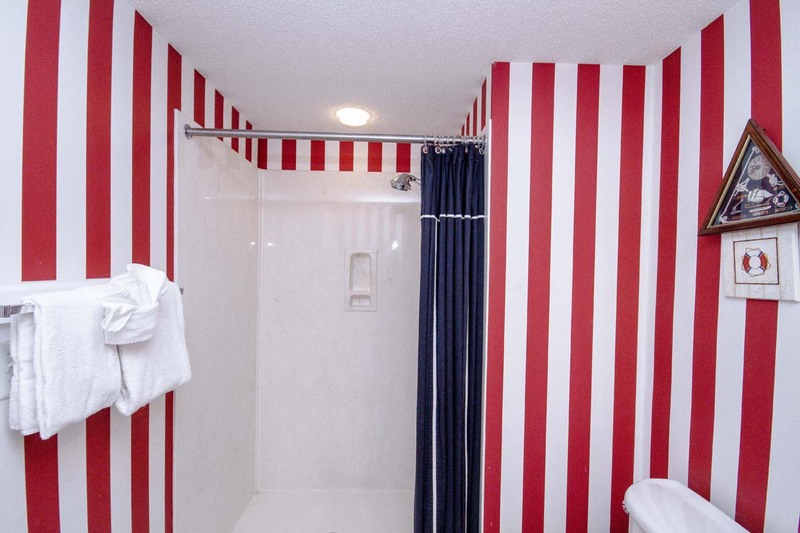 Additional in-unit amenities include multiple TVs with cable, WiFi Internet access, washer/dryer, and jetted garden tub in the master bathroom. 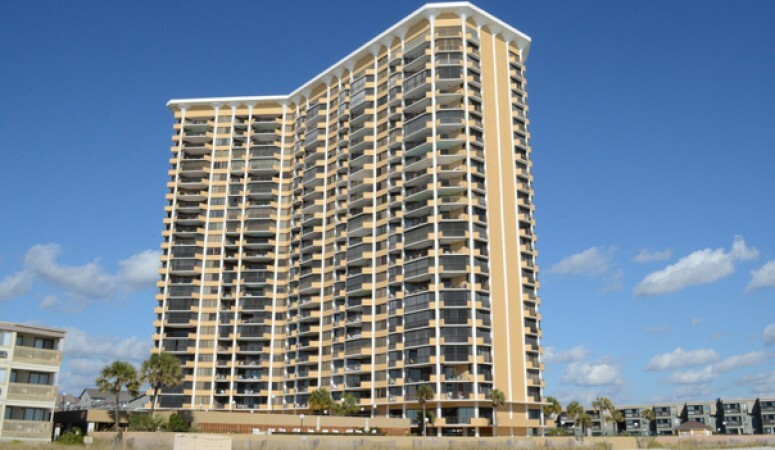 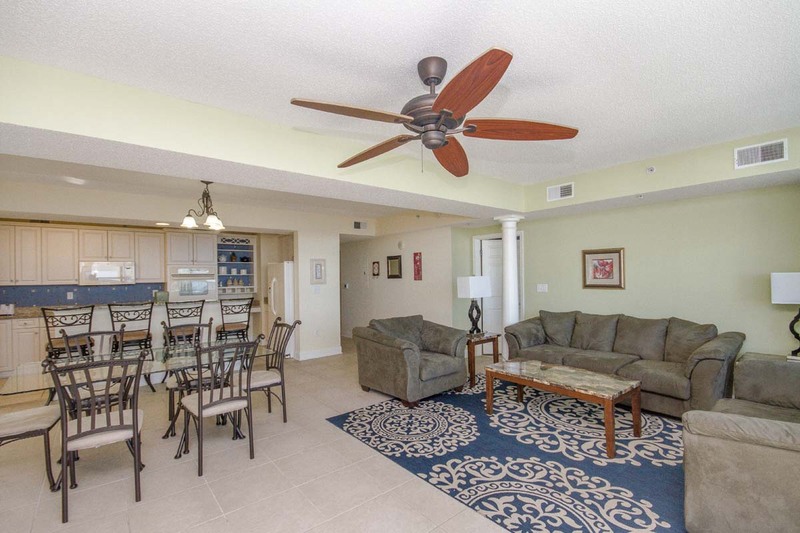 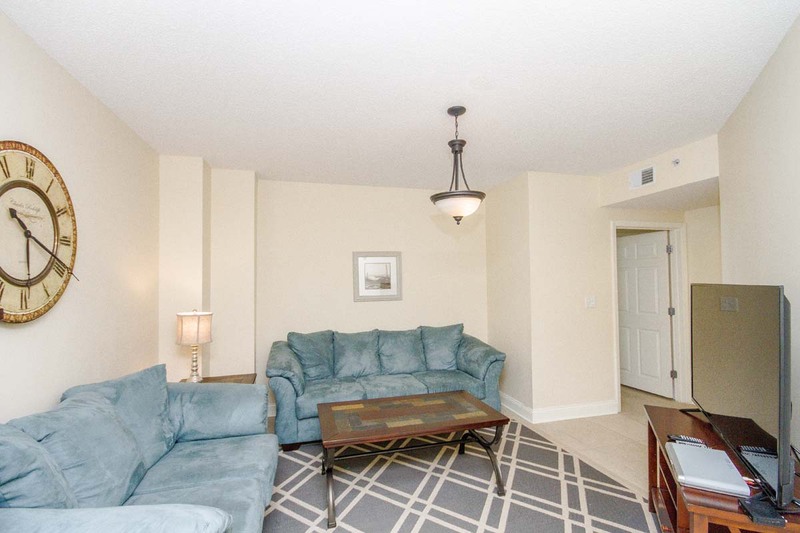 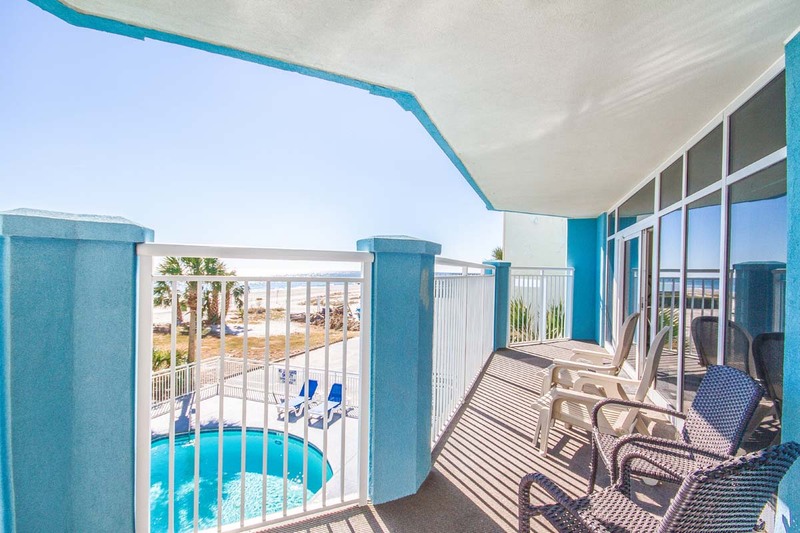 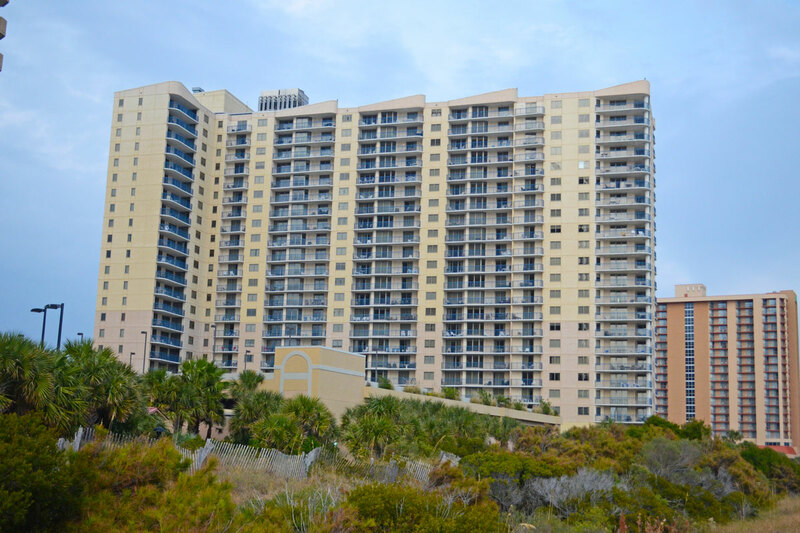 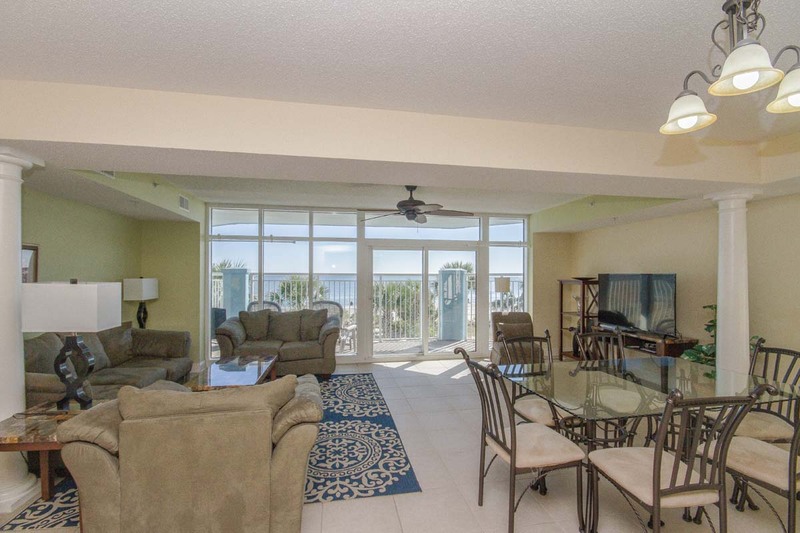 Take in the exciting sights and sounds of Myrtle Beach when you spend time on the unit's sprawling balcony, which overlooks the outdoor pool, as well as the sparkling Atlantic Ocean. 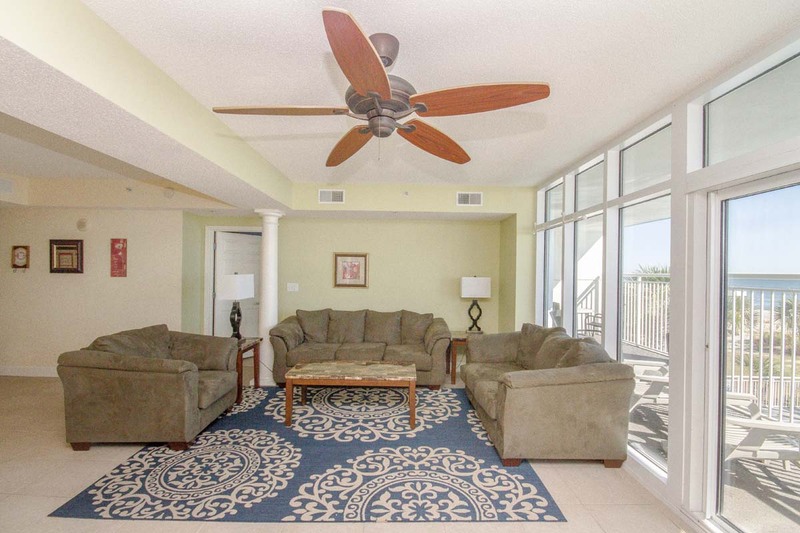 The amenities of Ocean Blue Resort don't stop there. 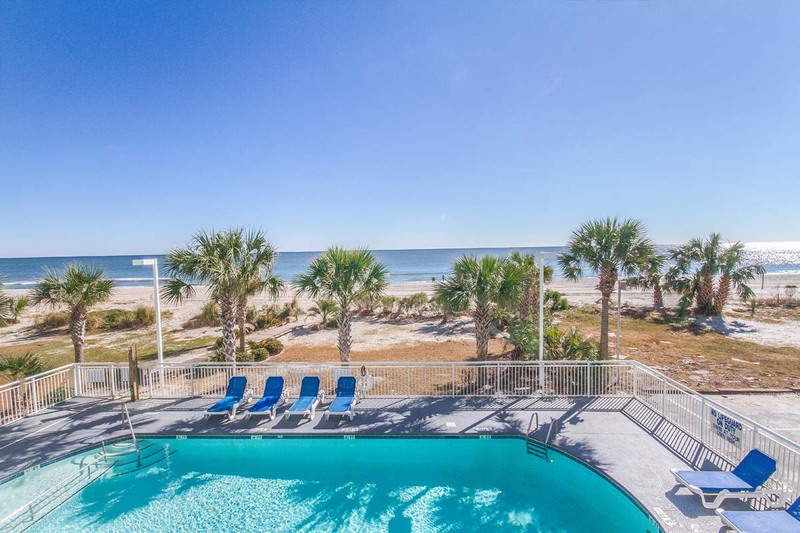 Take advantage of on-site offerings including indoor and outdoor pools, lazy river, sun deck, hot tub, and exercise facility. 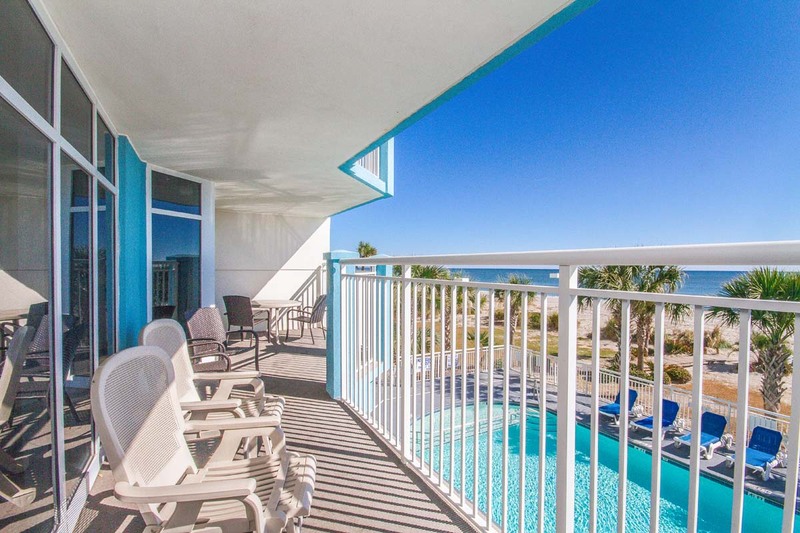 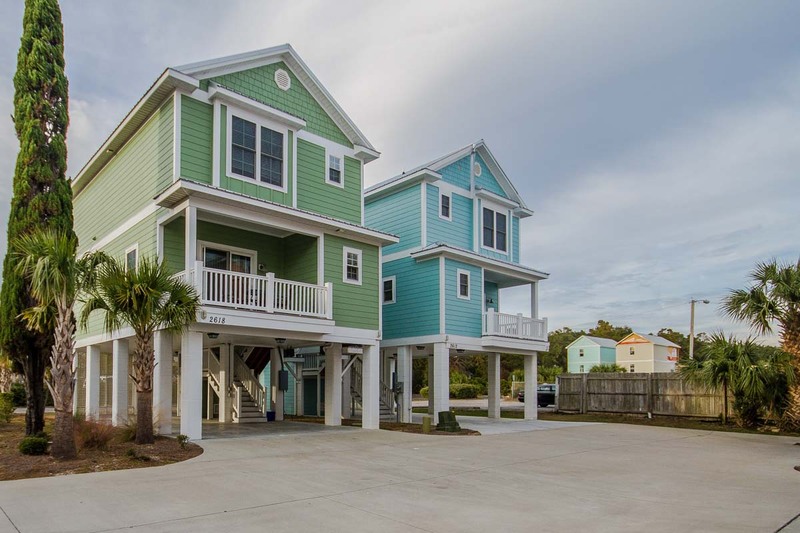 And though you don't have to leave the resort to have a great time in Myrtle Beach, you won't be far from thrilling attractions like the SkyWheel, Boardwalk, Market Common, Broadway at the Beach, and a range of other hot spots. 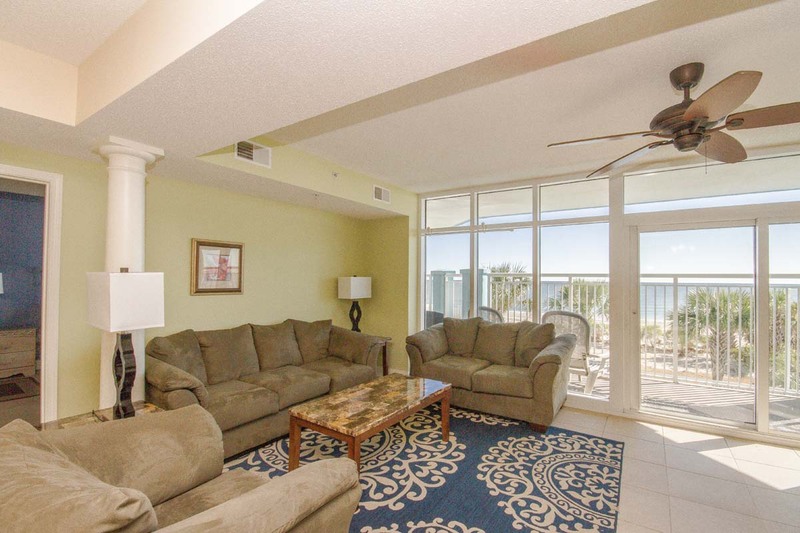 Experience the ideal beach escape when you reserve your next vacation in Ocean Blue 203, our 5-bedroom, 4-bathroom oceanfront condo with spacious accommodations for up to 12 guests.